Micron is the most advanced die protection system available to the stamping industry. With precise accuracy to .00004 inches (1/1000mm), Micron die protection monitors separation gaps between the upper and lower dies. By monitoring these subtle deviations in stripper position or die height, Micron detects misfeeds, pulled slugs, double hits or other abnormal conditions that cost you time and money. The Micron system can be applied to any forming operation with speeds up to 2500 machine cycles per minute. No external timing sensors or machine calibration is required. Response time less than 10Msec. 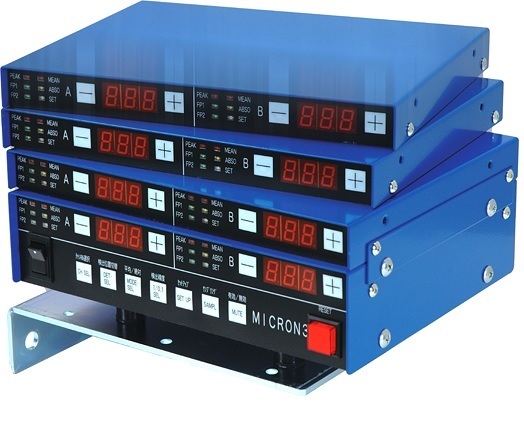 HMIC-K Stack for additional channel of monitoring. Maximum of seven stacks per one base unit. Each stack supplied with sensor and ribbon connect cable. 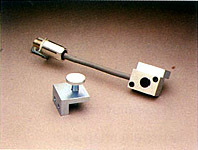 HMIC-R Proximity sensor supplied with pigtail cable, connector, target assembly and mounting brackets.